Before each concert, we share “Manny’s Musings,” thoughts from our Music Director and Conductor, Manny Laureano. 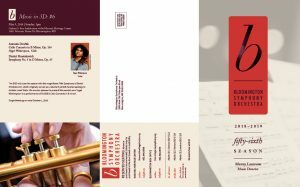 This is the first edition of the “Musings” for the “Stories and Enigmas” concert that will be performed on Sunday, February 25, 2018. Relationships formed through music often turn out to be ones that are the motivation for great works and smaller, flashier works that also invite a look into the characteristics of a performer. “I like this about you and I’m going to exploit those things you do well in a piece I want to write for you.” I would imagine initial conversations about a proposed work go along those lines. 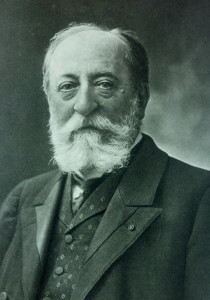 Brahms had Joachim and Camille Saint Saëns (1835-1921) had Pablo de Sarasate whose virtuosity was a standard during the day. Sarasate was a true musical prodigy with an ability to perform that were unquestionable beyond his years. Born among the bull bull runners of Pamplona, his father saw to it that he would begin his music studies early. 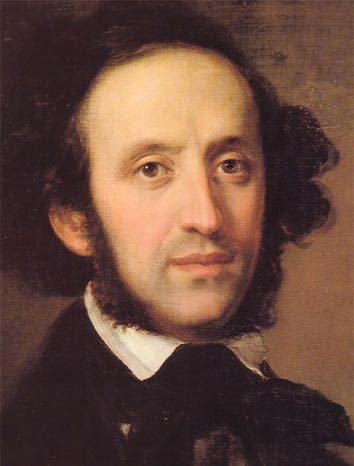 Great musicians tend to meet over the course of their lives and the friendship that ensued between the two artists brought forth several larger works including two of Saint Saëns’ concerto and the very popular “Introduction and Rondo Capriccioso.” The work is predominantly in A minor with a cheerful nod to a lighter dance-like section in C major that is clearly an acknowledgement to the Spanish heritage of his premiering soloist. In fact, the entire piece has that Moorish quality that may take us away from the usually bitter cold of our local weather and take us to sunnier climes! Before each concert, we share “Manny’s Musings,” thoughts from our Music Director and Conductor, Manny Laureano. This is the first of the “Musings” for the “BSO”s Youthful Celebration” concert that will be performed on Sunday, February 19, 2017. It is my intent to one day program a concert for the BSO that celebrates the gentle beauty of maturity but for this concert I decided to take a look at the earlier attempts of composers in the primary and developing parts of their careers. So, for the seasoned members of our audience, fear not, as your day will come! 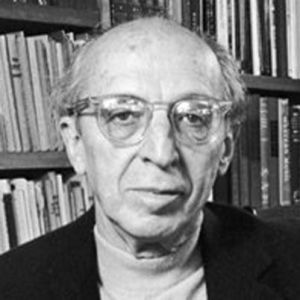 An Outdoor Overture (1935) of Aaron Copland (1900-1990) covers a few areas of today’s musical subject. Since Copland had the good taste to be born in 1900, we know that he was 35 when he received the request from the principal of the brand new High School of Music & Art in New York City to write a piece of music for its orchestra. 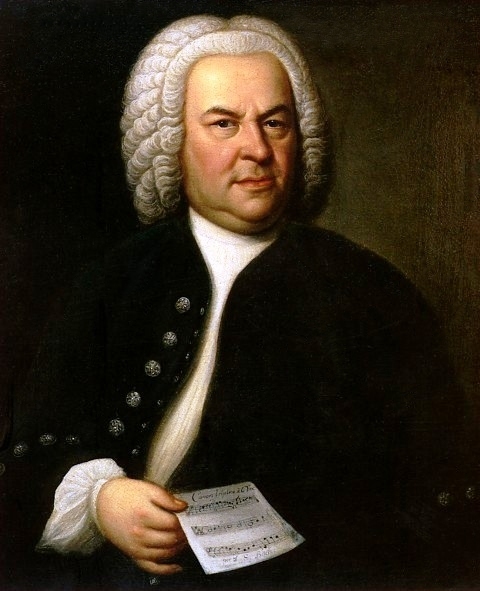 As the principal, Alexander Richter, listened to Copland’s rendering of the piano version. It seemed clear that the harmonies and melodic contours gave it an expansive feeling of, well, the outdoors, its themes are simply stated and without regret. From the opening trumpet solo to the skittering woodwinds and strings that follow to the final triumphant and optimistic march it was clear that it was a perfect fit for the fledgling school which celebrated the artistic talents of American youth in the 1930s. It was a perfect match that would see a premiere by the students three years later, in 1938. Coincidentally, both my wife, Claudette and I, who are co-directors of the Minnesota Youth Symphonies, are proud alumni of that wonderful school, class of ’73. 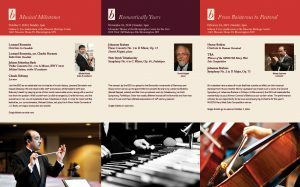 Before each concert, we share “Manny’s Musings,” thoughts from our Music Director and Conductor, Manny Laureano. This is the first of three “Musings” for the “Music in 3D: Part Three” concert that will be performed on April 17, 2016. 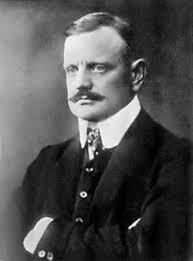 My first encounter with this concerto of Sibelius (1865-1957) was as a student at the Juilliard School. It was completely unfamiliar to me yet it gripped me from the start. This piece, which took about three years (1902-1905) to write and revise, speaks poetically and passionately from beginning to end. 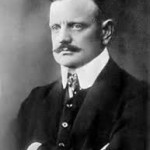 From its indistinct and humble opening that speaks sensuously, scales and arpeggios and octaves that seem to mock hard-working students, and a brusque theme that is evocative of a masculine bar song sung by Nordic fishermen, Sibelius claims a rightful title as not only the greatest of all Finnish composers but as one of the most thoughtful composers in history. 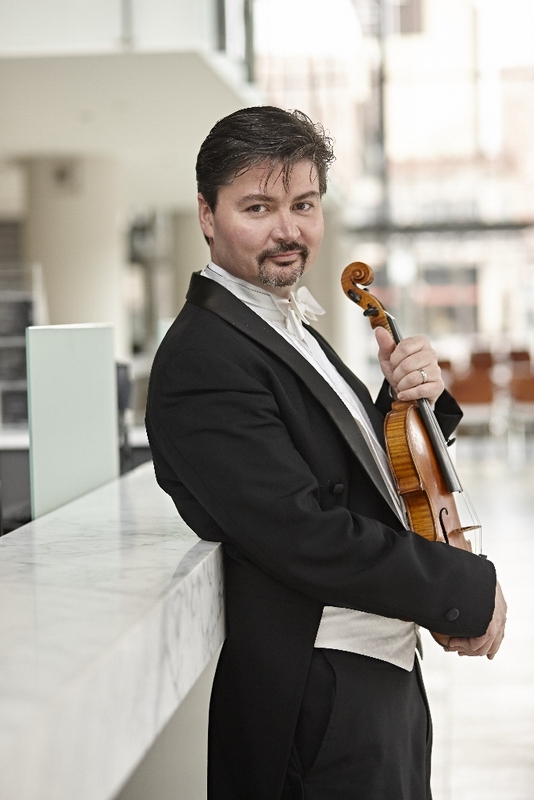 Join Music Director & Conductor Manny Laureano, for the concert, “Music in 3D: Part Three” featuring violinist Louisa Woodfull-Harris, winner of the Mary West Solo Competition sponsored by the Minnesota String and Orchestra Teachers Association. 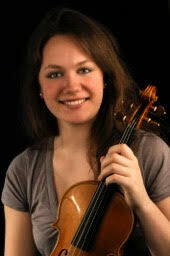 The concert takes place on Sunday, April 17 at 3 p.m. at the St. Michael’s Lutheran Church in Bloomington. 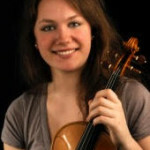 The Bloomington Symphony Orchestra is pleased to announce that Louisa Woodfull-Harris will perform with the orchestra on Sunday, April 17, 2016 at 3 p.m. Woodfull-Harris was the grand prize winner of the Minnesota String and Orchestra Teacher’s Association (MNSOTA) Mary West Solo Competition which was held in November 2015. To purchase tickets, visit the Bloomington Box Office. Tickets are also available at the door (cash or check only). Modest Moussorgsky (1839-1881) and his Pictures at an Exhibition orchestrated by Maurice Ravel occupies a cornerstone of the orchestral literature both as a masterwork of inspired composition and brilliant orchestration. There are over two dozen versions of the Russian Moussorgsky’s piano piece but the popularity of this orchestration by Ravel endures as the favorite of concert audiences. To be fair, it is the most often-played version and most people have not heard the other versions. A partial listing might include the first orchestration by Mikhail Tushmalov or Sir Henry Wood or Leopold Stokowski. There’s an arrangement for brass choir by Elgar Howarth for the Philip Jones Brass Ensemble. In 1977, I went on tour as principal trumpeter for the rock trio Emerson, Lake & Palmer and played their version. Even a version for solo trumpet and organ was written by the American trumpeter Vincent DiMartino. Clearly, the music is evocative enough to bring clear images to the mind and compelling enough to incite musicians to try their hand at making their own personal statement. But cream does tend to rise and Ravel’s orchestration continues to be the favorite world-wide. 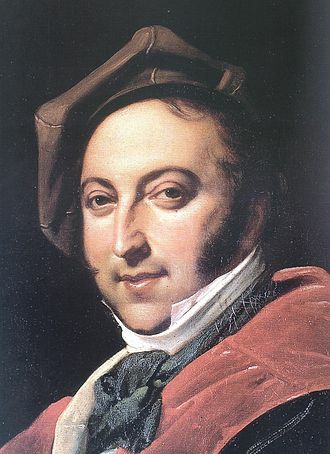 You may remember from our previous discussions of Borodin that Moussorgsky was one of a group of Russian composers known as “The Five” who tasked themselves with creating concert music that would be representative of a Russian musical language and style. Moussorgsky’s modal key centers and free use of changing time signatures stays within that language in an exemplary fashion. It was then up to Frenchman Maurice Ravel to set about doing what he did best as one of the pre-eminent orchestrators of the late 19th and early 20th centuries and bring Moussorgsky’s piano music to life with vivid instrumental color. The pictures from this particular exhibition came from the mind of a recently deceased painter and friend of Moussorgsky named Victor Hartmann. After Hartmann’s death from an aneurysm, Moussorgsky was driven to honor him with a piece of music depicting several of these Russian-themed paintings. Hartmann’s paintings aren’t the only depiction, however. The piece begins with a Promenade which is repeated in a variety of keys and characters throughout the 40-minute work. These Promenades have in common changing meters and strategically placed eighth notes that portray a less-than-graceful awkwardness. 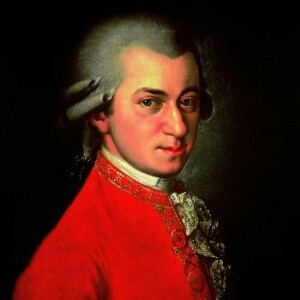 They fairly represent Moussorgsky’s moving from one painting to another with a heavy limp that revealed his own physiognomy. It may have even given us a peek at the alcoholism that began upon learning of the death of his mother, a passing which affected him greatly. Sometimes the Promenades precede each picture. Other times, Moussorgsky seems to be standing in front of two pictures and steals a gaze at one before completely finishing looking at the other. Ravel challenges the listener to hear sounds not always associated with a symphony orchestra such as a saxophone singing the ballad of a troubadour before an old castle. Then there’s the tuba in the altissimo register providing us with the complaints of an old ox pulling a loaded cart. A piccolo, snare drum, and tiny cymbals peck at an egg shell before the newly-hatched chick falls in exhaustion, his work accomplished. Snarling brass make a gnome seem larger than life. Seeing the pictures themselves is far less important than the pictures you conjure in the same way as Shakespeare exhorted you to “work your thoughts” (Henry V) in order to see the magic created by Moussorsgky and then Ravel many years later after the composer’s death. Join Music Director & Conductor Manny Laureano, for the concert, “Music in 3D: The Sequel” featuring Sara Melissa Aldana, winner of the CodaBow prize at the Mary West Solo Competition, as soloist. The concert takes place on Sunday, April 19 at 3 p.m. at St. Michael’s Lutheran Church in Bloomington. 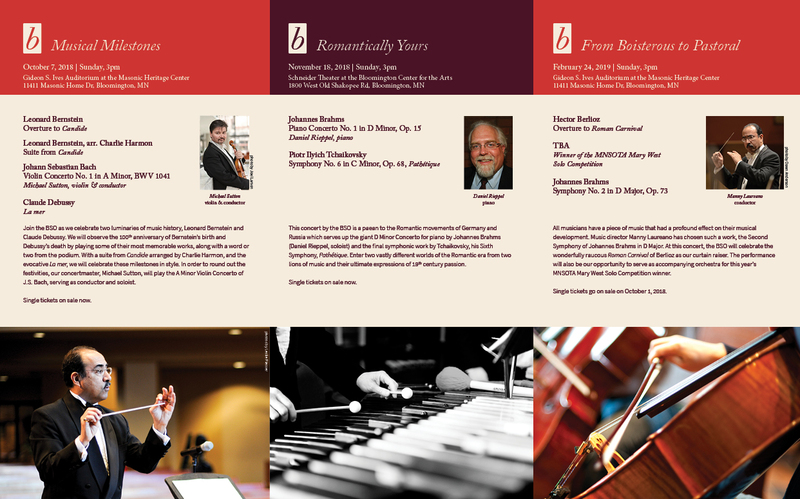 To learn more about the concert, click here, or to order tickets online through the Bloomington Box Office or by calling 952-563-8575.